तितली And Rose. तितली and rose. 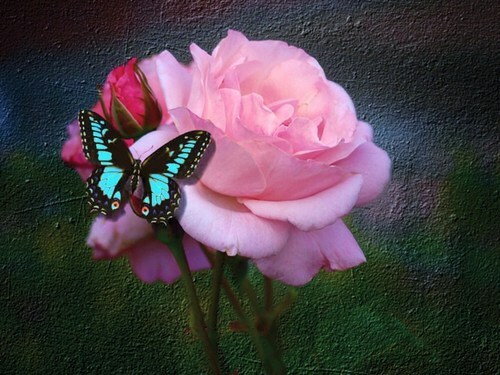 HD Wallpaper and background images in the तितलियों club tagged: butterfly rose image pretty wallpaper. This तितलियों wallpaper contains गुलदस्ता, कंचुकी, कहावत, फूलों का गुच्छ, चोली, पॉसी, नाकगेय, ब्रोच, and nosegay. There might also be चाय, camelia, कैमेलिया, कैमियािया, कमीलया, गुलाब, rosebush, गुलाब, and rosiness. ooohhh dear! perfect match! all that nature can imagine most beautiful!